Respected label Diynamic has announced the eighth edition of its popular ‘Four to the Floor’ series_ Includes Work by_ Brigado Crew and Argentinian producer Crisstiano_Adana Twins_ ARTBAT_ Definition - Track? !D. Respected label Diynamic has announced the eighth edition of its popular ‘Four to the Floor’ series. The series aims to champion four productions that have been handpicked, road-tested and approved by label-boss Solomun. 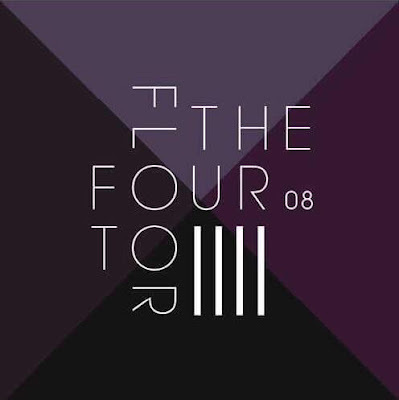 The ‘Four to the Floor’ EP series is comprised of four different dancefloor-orientated tracks from different producers, from upcoming talents to long-established electronic music artists. First up is ‘Zulu’ from Buenos Aires duo Brigado Crew and Argentinian producer Crisstiano. Drawing from their South American roots, ‘Zulu’ is a percussive track with a laidback yet exotic feel thanks to its echoing vocal samples. Picking up the pace, German duo Adana Twins’ ‘Uncompromising’ features a driving bassline and clattering synths, building up in waves for a series of dramatic drops. Next up is Ukrainian duo ARTBAT & French producer Rafael Cerato with ‘Uplift’, a track that slowly builds ambience with flittering synths before plundering into a hefty low end. Rounding off the latest edition of ‘Four to the Floor’ is the atmospheric ‘Pretend To Fly’ from Definition. The 7-minute journey features wistful male vocals and distinctive arpeggios leading into the rich basslines characteristic of the Diynamic sound. With a relatively short career span, Definition has already had a slew of releases on Materialism and Underground Audio allowing his support to grow.